A Gopi is one who drinks the love, beauty, splendor and divinity of Krishn though the senses and becomes drunk. Drunk with divine love. Radha is Bhagavan's Allhadhini Shakti, the delighting power is called Radha. 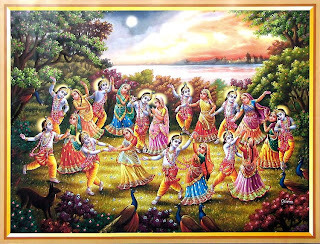 Krishn delights all the Gopis but she who delights Krishn and His devotees is Radha. Only Radha delighted Krishn like no other. Radha is like an adjective not a noun. 'Raadh' means to worship, she who worships the Lord. When our thoughts are turned towards God it’s called Radha. The longing and the force merging into Krishn consciousness is Ra-dha. Dha-Ra is the opposite, flowing away from the source. Neither Radha nor any of the Gopis' names are mentioned in the Srimad Bhagavatam. Why? Because only one who still has an ego, has name and form. 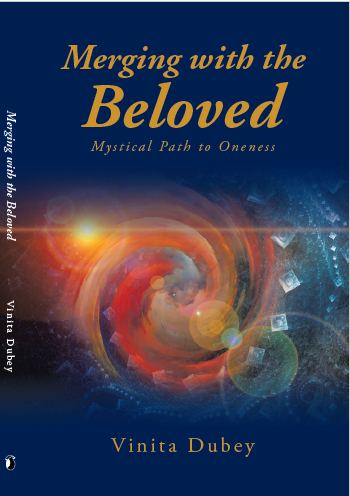 For one who has merged into the Lord, the identity, the boundary, has dropped and has no name, no form. There are other reasons too. When the Maha Raas dance commenced between Krishn and the Gopis, the Gopis got this thought "I" am special, Krishn loves me more than others. This is called 'Satvik Ahamkaar'. That very moment, Krishn disappeared. Why? The veil of separation, the ego came and consciousness was no longer visible. Darshan happens the moment the "I" drops, the veil drops, the boundary, the separation drops, and there is union. Consciousness merges with consciousness. Purna MeVaav Shishyate! Where ever this merger of creation with consciousness happening, there too this Maha Raas is happening even today. On the night of the Maha Raas, there was one Gopi who didn't get the Satvik Ahamkaar. When Krishn disappeared the Gopis looked for Him in despair. They saw His footprints with another pair of footprints, that of a Gopi! The Gopis were so jealous. Who was she? Who was that Gopi who remained submerged in Krishn, who remained the most humble, innocent and childlike.